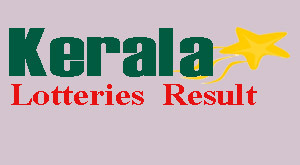 Bhagyanidhi Lottery is a weekly lottery conducted by Kerala State Government on every Friday. Kerala Bhagyanidhi Lottery winners getting a 1st prize of Rs 6,500,000/- and 2nd prize of Rs 100,000/- for seven winners and lot of other prizes are given as per Bhagyanidhi Lottery prize structure. Bhagyanidhi Lottery Result draw published on every Friday after 3:30 PM.